Set amongst 400 acres of woodland, each lodge at Center Parcs Longford Forest has been specifically designed for families. There will be three types of lodges to choose from - Woodland, Executive and Exclusive - all of which will offer the space, comfort and privacy that families desire. There will also be an additional 30 apartments, suitable for couples. A home away from home, the Center Parcs lodges are designed with ultimate comfort and quality in mind. 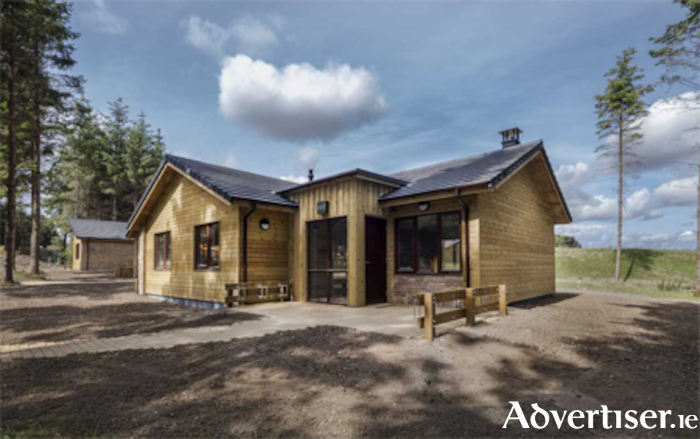 Each lodge will feature stylish, child-safe interiors with spacious open plan living, a fully equipped kitchen with modern appliances, comfy sofas and a log-burning fire. The Executive Lodges will feature a games room with pool table and games console and a private sauna, and the Exclusive Lodges provide the added luxury of a steam room and outdoor hot tub. Every detail has been carefully considered so that families can make the most of their time together. As the launch of Center Parcs Longford Forest nears, it is expected that three lodges will be completed per day going forward, with 850,000 hours of labour predicted to be spent building and completing the accommodation in advance of the opening in 2019. Lodges will be clad with 300km of certified timber and 4,600 doors and 3,200 windows will be installed prior to the build being finalised. Finishing touches will come during the fit-out phase, which will see approximately 5,476 pillows fluffed, 1,369 hairdryers placed, 2,734 dining chairs tucked and 2,586 wine glasses polished, ready for families to enjoy. Commenting on the milestone development, Center Parcs CEO, said that they were committed to providing high quality accommodation at the amenity.